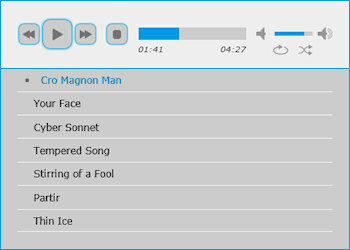 jPlayer (http://jplayer.org/) is HTML5 Audio / Video player with playlist support. This extension is a wrapper for jPlayer and can be used to play single audio/video files as well as a playlist with multiple media files. Common formats are mp3 (audio), mp4 and m4v (video).